It doesn’t take a genius I.Q. to check out and enjoy It and other films on this list. Films on this page: I Could Never Be Your Woman, I Heart Shakey, I, Robot, I.Q., Ice Cream Man, If There Be Thorns, Igby Goes Down, In the Land of Women, The Incredible Mrs. Ritchie, The Indian in the Cupboard, Infestation, Insidious, Inspiration Point, Instrument: Ten Years with the Band Fugazi, The Invasion, The Invisible Boy (Il ragazzo invisibile), Invisible Mom, The Island, Island of Lost Souls, Island of Secrets, It (1990), It (2017), It Could Happen To You. I Could Never Be Your Woman. (2007) Michele Pfeiffer, Paul Rudd, Saoirse Ronan, John Lovitz, Fred Willard, Trecey Ullman. Written and directed by Amy Heckerling. A successful 40+ but divorced TV producer and single mom falls for the charming new 29 year old actor on her show. Meanwhile her daughter falls in love for the first time. I Heart Shakey. (2012) Stephen Gettenberg, Rylie Behr, Steve Lemme, Alfonso Arau. Written and directed by Kevin Cooper. Shakey is a family film about a 35-year-old widower named J.T. O’Neil, his precocious 10-year-old daughter and their devoted mutt Shakey. After moving from a small town to Chicago and missing the fine print in their rental contract, J.T. is forced to try and get rid of his lovable pooch. Clueless adults abound in this film. I, Robot. (2004) Will Smith, Bridget Moynahan, Bruce Greenwood, Chi McBride, Alan Tudyk, James Cromwell. Directed by Alex Provas. Will Smith plays a chucks-wearing technophobic cop investigating a crime that may have been perpetrated by a robot, a violation of the first law of robotics in this film based on the classic Isaac Asimov novel. I.Q. (1994) Tim Robbins, Meg Ryan, Walter Matthau, Gene Saks, Lou Jacobi. Directed by Fred Shepisi. A witty romantic comedy about a young auto repairman who comes up with a theory of quantum physics to impress his would-be girl, the daughter of Albert Einstein. Walter Matthau steals the show with his portrayal of Einstein. Ice Cream Man. (1995) Clint Howard, Sandahl Bergman, JoJo Adams, Mikey LeBeau, Anndi McAfee, Zachary Benjamin, Olivia Hussey, Matthew McCurley, David Warner, Lee Majors II, Jan-Michael Vincent. Directed by Norman Apstein. The local ice cream man in a suburban town has a different agenda than just making and selling ice cream — he catches and kills people or critters he doesn’t like and, you guessed it — mixes them into his ice cream. When a local kid comes up missing, a group of local kids and the police start investigating. This low budget horror film has one great redeeming feature: nearly all of the main characters wear chucks. If There Be Thorns. (2015) Rachael Carpani, Jason Lewis, Mason Cook, Jedidiah Goodacre, Bailey Skodje, Heather Graham, Mackenzie Gray. Directed by Nancy Savoca. In this modern day gothic novel, Christopher and Cathy Sheffield’s past comes back to haunt them and their family, when their estranged mother Corrine moves in next door and begins stirring up trouble through their son, Bart. Igby Goes Down. (2002) Kieran Culkin, Jeff Goldblum, Claire Danes, Jared Harri, Amanda Peet, Ryan Phillippe, Bill Pullman, Susan Sarandon. Written and directed by Burr Steers. An adolescent who has grown up in a dysfunctional, wealthy family tries to strike out on his own and find meaningful relationships, but must continually deal with the machinations of his mother, stepfather, and older brother, and the legacy of his mentally ill father. In the Land of Women. (2006) Elena Anaya, Adam Brody, Kristen Stewart, Meg Ryan, Olympia Dukakis. Written and directed by Jon Kasdan. Devastated over his breakup with his actress girlfriend, Carter Webb leaves L.A. to stay with his wacky grandmother in her suburban Detroit home, across the street from the Hardwicke family. As Carter struggles to reconcile his own inner conflicts, he is drawn into the pains and loves of the Hardwicke women — all of whom, in their way, fall in love with Carter, and help him find his way back. The Incredible Mrs. Ritchie. (2003) Kevin Zegers, Gena Rowlands, Brenda James, David Schofield, Leslie Hope, Justin Chatwin, Heather Wahlquist, James Caan. Written and directed by Paul Johnson. A troubled teen caught stealing a purse is given a chance to redeem himself by working for its owner, Mrs. Ritchie, and her mongoloid sons. The Indian in the Cupboard. (1995) Hal Scardino, Litefoot, Lindsay Crouse, Richard Jenkins, Rishi Bhat, David Keith, Steve Coogan. Directed by Frank Oz. A nine year old boy receives a wooden cupboard for his birthday, and is greatly surprised when he discovers that the little plastic figures he put in there overthen night have come to life in his room. The film then deals with how the boy copes with this fantastic turn of events in relation to his family, friends, and the outside world. Categories: Drama, Science Fiction/Fantasy, Family, Coming of Age. Infestation. (2009) Chris Marquette, Brooke Nevin, Ray Wise. Written and directed by Kyle Rankin. A slacker office worker ends up leading the fight against a strange infestation of huge insects who have suddenly taken over the world and put most of the people into cocoons. Insidious. (2010) Patrick Wilson, Rose Byrne, Ty simkins, Lin Shayne, Barbar Hershey, Andrew Astor. Directed by Peter Jackson. When the Lamberts discover that dark spirits have possessed their son, the dad must go into supernatural realm called The Further to rescue him. 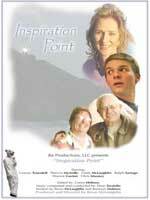 Inspiration Point. (2009) Connor Truesdell, Patricia McArcle, Linda McLaughlin, Ralph Sariego, Warren Gaston, Chris Mooney. Written and directed by Brian McLaughlin. When 17 year old Kevin Corrigan ends up working in a local coffee shop as an advice-giving polar bear, he is surprised that he can actually influence the lives of the local townpeople. Instrument: Ten Years With the Band Fugazi. (1999) Brendan Canty, Joe Lally, Ian MacKage, Guy Picciotto. Directed by Jem Cohen. Filmmaker Jem Cohen spent ten years documenting the Washington D.C. based punk rock band Fugazi. The band is seen in casual and performance situations. The Invasion. (2007) Nicole Kidman, Daniel Craig, Jeremy Northam, Jackson Bond, Jeffrey Wright, Veronica Cartwright, Josef Sommer, Celia Weston. Directed by Oliver Hirschbiegel. A crashed space shuttle brings a mysterious epidemic to earth that takes over and alters the behavior of human beings. When a Washington D.C. psychiatrist discovers that the epidemic’s origins are extraterrestrial, she must fight to protect herself and her son from her ex-husband and the ever-increasing legions of people who have been infected and are slowly taking over the world. The Invisible Boy (Il ragazzo invisibile). (2014) Ludovico Girardello, Noa Zatta, Valeria Golino, Fabrizio Bentivoglio, Christo Jivkov. Directed by Gabriele Salvatores. Michele (Miki) is thirteen year old, shy, unpopular at school, and in love with Stella. After wearing a costume for a Halloween party, he finds out that he’s invisible and that there is a lot about his life he doesn’t understand or know about. In Italian with English subtitles. Invisible Mom. (1995) Dee Wallace-Stone, Barry Livingston, Trenton Knight, Russ Tamblin, Stella Stevens, Christopher Stone, Phillip Van Dyke, Giuseppe Andrews. Directed by Fred Olen Ray. A family’s life is thrown into comical chaos after mom accidentally drinks her inventor husband’s latest invention, an invisibility potion. Categories: Comedy, Family, Science Fiction. The Island. (1980) Michael Caine, David Warner, Frank Middlemass, Don Henderson. Directed by Michael Ritchie. A film version of the novel by Peter Benchly about a journalist and his son who stumble on a society of modern day pirates in the Caribbean. Island of Lost Souls. (2007) Sara Langebæk Gaarmann, Lucas Munk Billing, Lasse Borg, Nicolaj Kopernikus, Lars Mikkelsen, Anette Støvelbæk, Anders W. Berthelsen, Beate Bille. Frank Thiel. Written and directed by Nikolaj Arcel. Great special effects highlight this story of three kids and a disillusioned spirit hunter living in a small Danish town who take on a malevolent supernatural force trying to take over the world. The action starts when one of the kids is possessed by a spirit from the past who was leading the fight against the evil necromancer. The Island of Secrets (Lomasankarit). (2014) Ifigeneia Tzola, Nuutti Konttinen, Emil Auno, Veikka Vainikka, Yannis Stankoglou, Ioanna Triantafyllidou. Directed by Taavi Vartia. What was supposed to be an ordinary holiday on the Greek island of Kos for a family from Finland turns into an adventure for their three sons when a local girl Adriana is kidnapped by antiquities thieves who are in collusion with local authorities. It. (1990) Harry Anderson, Dennis Christopher, Richard Masur, Annette O’Toole, Tim Reid, John Ritter, Richard Thomas, Tim Curry, Jonathan Brandis, Brandon Crane, Adam Faraizl, Seth Green, Ben Heller, Emily Perkins, Marlon Taylor, Drum Garrett. Directed by Tommy Lee Wallace. A malevolent predatory force in a 1960s New England town takes on the shape of a clown to prey on young kids, until a group of seven 12-year-olds band together to stop it. 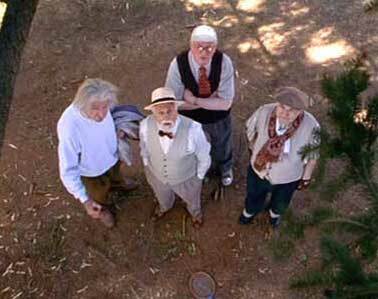 When the force reappears 30 years later, the seven must re-confront the terrors of their youth to make a last stand against “It”. Categories: Drama, Horror, Crime and Mystery. It. (2017) Jaeden Lieberher, Jeremy Ray Taylor, Sophia Lillis, Finn Wolfhard, Chosen Jacobs, Jack Dylan Grazer, Wyatt Oleff, Bill Skarsgård. Directed by Andy Muschietti. This remake of the Stephen King novel focuses on the fears, horrific apparitions they experience, and efforts of the 12-year-old kids to confront the malevolent and predatory monster who takes the human shape of Pennywise the Clown. The time frame has been reset to 1980 and leaves out the adult part of the story. It Could Happen To You. (1994) Nicholas Cage, Bridget Fonda, Rosie Perez, Wendell Pierce, Isaac Hayes, Víctor Rojas, Seymour Cassel, Stanley Tucci. Directed by Andrew Bergman. A police officer promises to share his lottery ticket with a watress in lieu of a tip. When the numbers actually come in, all kinds of complications emerge between the policeman, his wife, and the waitress.